Sure, comedians are called upon almost every year to serve as host of the Academy Awards — everyone from Bob Hope to Johnny Carson, Billy Crystal to Chris Rock, Jon Stewart to Ellen Degeneres have served as hosts — but how are comedians usually represented for the acting work they do? 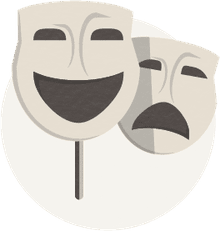 Well, the fact of the matter is that many comedians throughout history have won acting awards either through the Academy of Motion Pictures or some other notable film and television associations. And although the Golden Globes added a separate category for best actor and actress in a musical or comedy, the Academy Awards still only give out four acting awards: Best Actor and Actress and Best Supporting Actor and Actress. Over the years, many great comedic actors like Charlie Chaplin in 1949's The Great Dictator have been nominated for best supporting or best actor awards, but the list of comedians who have actually taken home the top prizes at the Oscars is surprisingly short. 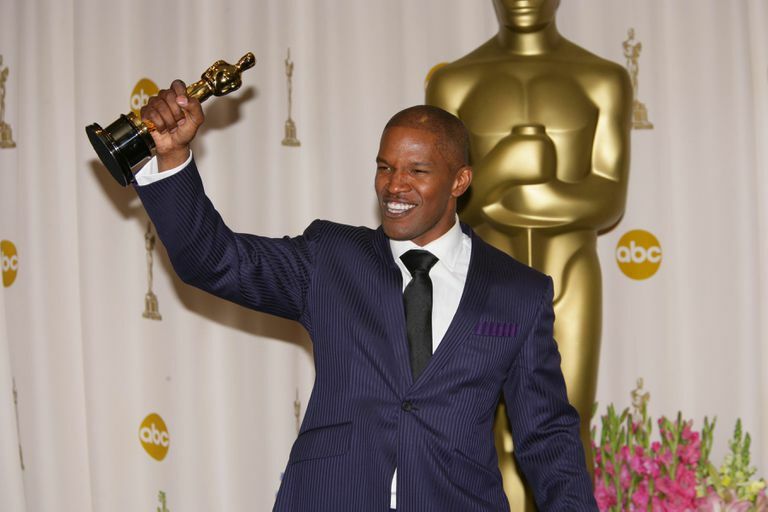 The first Oscar win for a comedian in a leading role actually went to Jamie Foxx for his titular performance in the 2004 film Ray, which was more drama than a comedy — despite Foxx being known as a stand-up comic. Still, since 1957, comedic actors and actress have been nominated and won Oscars for their work in film. In fact, the first best-supporting actor awarded to a comedian went to Red Buttons in 1957 for his work on the film Sayonara. It wouldn't be until nearly 20 years later that another comedic actor won for the same category when George Burns took home the Best Supporting Actor award for his role in The Sunshine Boys in 1975. Woody Allen was nominated for Best Actor in 1977 for his performance in Annie Hall, while Dudley Moore earned a nomination for the same in 1981 for his role in Arthur and Robin Williams got a nomination for his breakout role in Good Morning, Vietnam in 1987. On the Best Actress side, Comedian Whoopi Goldberg's transformative role in the 1985 film The Color Purple got her a nomination for the category. Unfortunately, all four lost out to more serious characters and traditionally dramatic actors. It wasn't until the 1990s when both Goldberg and Williams would clinch their first Oscar win. In 1990, Whoopi won for Best Supporting Actress in Ghost and Williams won Best Supporting Actor in 1997 for his role in Good Will Hunting despite losing out to Anthony Hopkins in 1991 for the Best Actor category. Bill Murray in Lost in Translation lost the Best Actor award in 2003 to Sean Penn in Mystic River while Jamie Foxx in Collateral lost to Morgan Freeman in Million Dollar Baby in 2004 for Best Supporting Actor. Even Eddie Murphy' s 2006 attempt to play a serious role in Dreamgirls lost him the win for Best Supporting Actor to Alan Arkin in Little Miss Sunshine — which may just qualify as one of the only wins for a comedian in a supporting role. Notably, the only comedian to have won a writing or production award of any variety from the Oscars has been famous Saturday Night Live former cast member Kristen Wiig who won Best Original Screenplay in 2011 for her work on Bridesmaids. Perhaps because comedians are so rarely recognized for their contributions to film, the Academy of Motion Picture Arts and Sciences has seen fit to award Honorary Oscars — sometimes called Lifetime Achievement Awards — on many occasions in the past. Charlie Chaplin, Edgar Bergen, and Bob Hope all have been awarded this prestigious award between the years 1929 and 1952. Buster Keaton, Harold Lloyd, Stan Laurel, Charlie Chaplin, and Groucho Marx have also been awarded the same for their work in comedy. Far from a consolation prize, these Honorary Oscars go to offset the traditionally drama-skewed criteria of the acting category. As you can see above, only a handful of those nominated for acting awards ever got them for comedic performances. It wasn't until Goldberg went serious in Ghost or Jamie Foxx in Ray that either won the coveted golden statue. Who Votes for the Academy Awards?